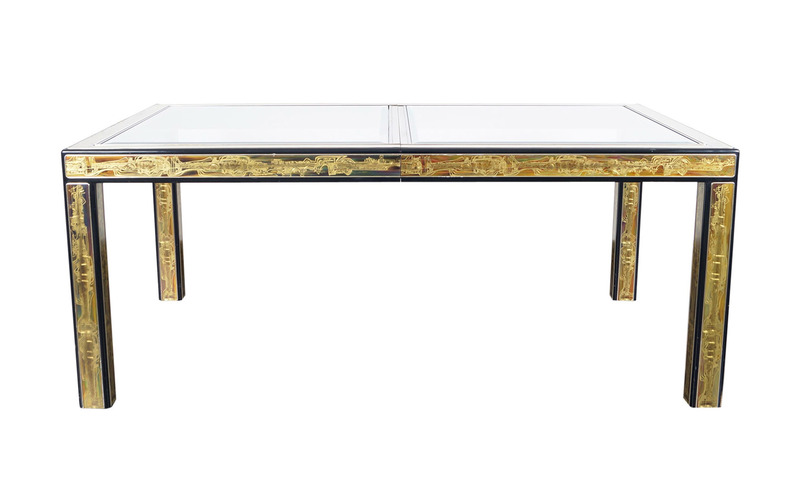 This stunning dining table was designed by Bernhard Rohne for Mastercraft. Features a unique acid etched brass design along all edges. Can expand up to 104.5"W. Extension measures 33.5"W.